Many residents have no choice but to use their windows as thermostats. Open windows bring in noise, dry air and can even pose a security risk. 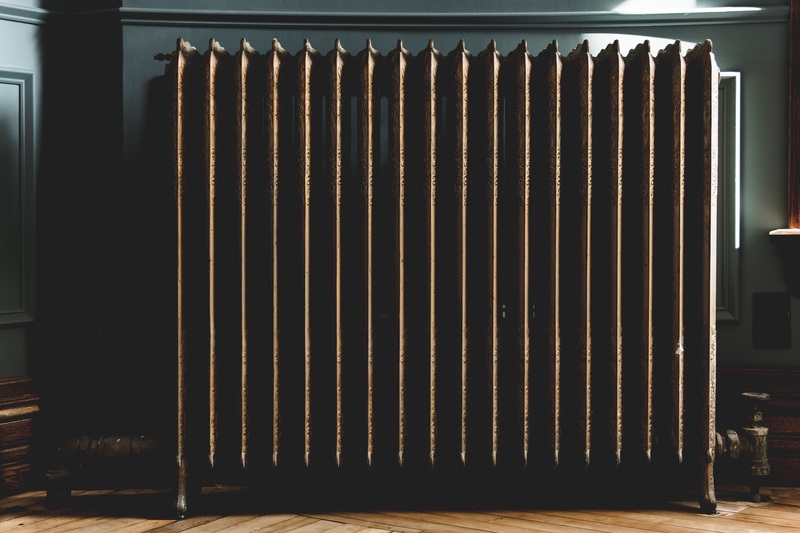 A number of companies, most notably New York’s own Radiator Labs, are looking to address this problem, and the ecosystem of potential problems and solutions is vast. Most buildings in the city still burn fossil fuels for heating, giving off harmful greenhouse gas emissions. Every time we overheat, we create more air pollution and accelerate climate change, wasting energy and throwing money out the window (in this case, literally). One way to get a handle on this problem is to address overheating and under-heating by monitoring indoor temperature. The tools to do this have long existed and are utilized by most commercial buildings in the city. For residential buildings, current laws require that landlords provide at least 68 degrees Fahrenheit of heat during the day. If there are no indoor temperature sensors, how can a landlord be sure they are complying with minimum heating requirements? Tenants can file complaints when their apartments are not warm enough, but there’s no formal way for them to protest if they experience too much heat. Unfortunately, the easiest way for some landlords to avoid complaints and fines from the city is to simply turn up the heat. Steam heat is a 19th century, inefficient heating technology – at the very least, it should be combined with modern boiler controls and other measures that help balance steam systems. New York City’s Retrofit Accelerator, a free consulting program that helps building owners reduce energy use and balance heating systems, can serve as a tool to incorporate different temperature control technologies and avoid overheating. To address the overheating problem, EDF is proposing an allowable maximum temperature of 76 degrees Fahrenheit during the day and an allowable maximum temperature of 70 degrees during the night. This way landlords can work within a temperature range of about 8 degrees. Once they are confronted with heating complaints and fines, these landlords will have added incentives to implement energy conservation measures helping to balance the heating system. Such measures include indoor temperature sensors that communicate with the boiler as well as radiator controls, and limiting the amount of steam that gets into a radiator to stabilize the temperature throughout a building. These practices will reduce emissions while making residents more comfortable. Last month, New York City’s Council introduced a groundbreaking bill that allows building owners to plan capital investments over the next 30 years, a key element to achieve the city’s goal to slash emissions by 80 percent by 2050. Buildings must comply with this mandate starting in 2022, so owners and managers need to act swiftly. Much needs to be done to transform New York City’s buildings in order to make them more efficient. Now is the time to take the first step, dust off a building’s audit and get a head start on putting the recommended energy efficiency upgrades in place. This entry was posted in Clean Energy, New York, New York REV. Bookmark the permalink. Both comments and trackbacks are currently closed.